Do you want to make an excellent high-quality ice cream full of flavour easily? Then look no further than our ice-cream pastes! Our high-quality ice-cream pastes for dairy and fruit ice cream offer a wide range of flavours both for the classical types as well as for the innovative and unusual types of ice cream. In addition, all ice-cream pastes are without preservatives. Summer will prevail in your ice-cream counter even in the depth of winter with the ice-cream pastes for fruit ice cream! The natural flavour of fruit is enhanced and accentuated by the ice-cream paste so that the quality of your fruit ice cream is just as excellent in every season. 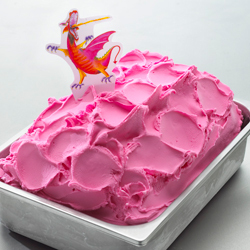 Ice cream with our Dragon Fruit paste in a delicate pink is a real eye-catcher and a true culinary experience. The special Asian look of the dragon fruit makes people curious and the fresh fruity flavour of the ice cream is convincing. The Gelatop Strawberry ice-cream paste gives the so popular sweet fruity flavour of the strawberry to the ice cream as if it were the original and provides a natural shade of red. You can thus enjoy the taste of fresh strawberries even in winter ! Creamy dairy ice creams with a fantastic flavour and attractive colours are a must for every ice-cream counter. 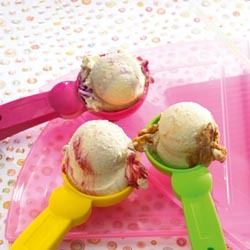 Our ice-cream pastes for dairy ice cream help you to meet and even to surpass the high expectations of your customers. The Vanilla Paste 263 goes down well with all customers with its vanilla pod bits and a rounded taste of vanilla. It’s not surprising that Gelatop is the market leader of the most popular types of ice cream in Germany! Our Delfino blue ice-cream paste not only catches the eye, it even tastes wonderful. The blue ice cream with the slight touch of vanilla can be combined with different flavours and wins over both children and adults equally. Just like you, we think first and foremost of customer satisfaction – and Gelatop ice-cream pastes will ensure this!